We split the text about this collaboration with Feelflows Surfboards into two parts, one with the details of the project, the other with a small interview we made with the brains and hands behind the brand. We will publish the second part within the next few days. Those more regular at our Matosinhos Megastore must have noticed these two girls parked in the shop. 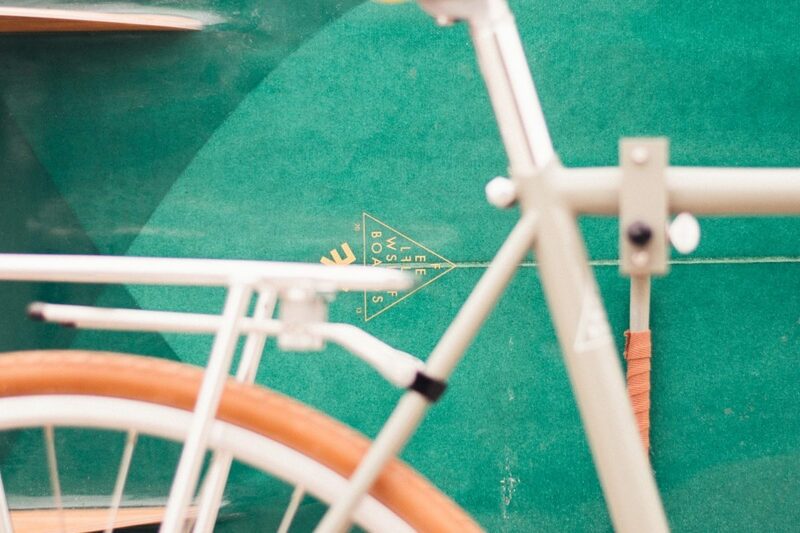 The bicycle and the board are the results of a collab with Pedro Vieira, a good friend and someone we truly admire. His work is the most similar possible with ours, but with surfboards (more about the brand in the second part). For this project, we both wanted something straightforward but with solid aesthetics. Starting with an old road frame from the 70’s, very light and made with extra thin tubes, we got rid of everything superfluous, including the brake and gear cables routing. The idea was to have a laid-back ride, something one can “abandon” for hours while out there catching some waves. 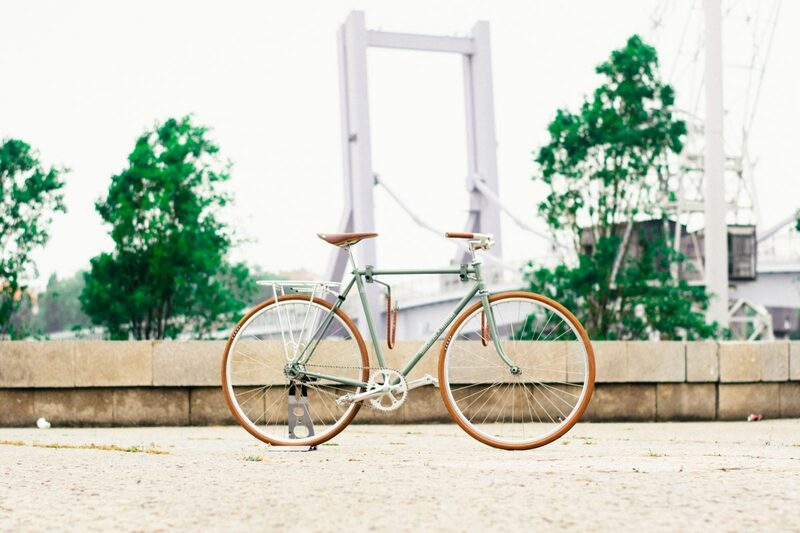 A two-speed kick-shift hub with coaster brake, with no cables or levers, allowing the enjoyment of a smooth ride with both hands firmly on the handlebars. We made everything in a close partnership. Feelflows designed the colour scheme and graphics, and Velo Culture leprechauns chose the spec list and components. 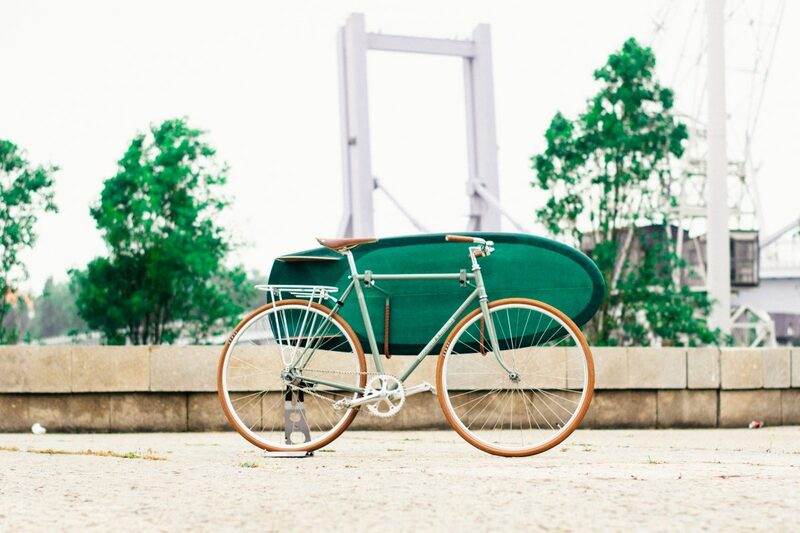 The saddle is a Brooks C17 Cambium in rust, made with organic cotton and natural rubber. 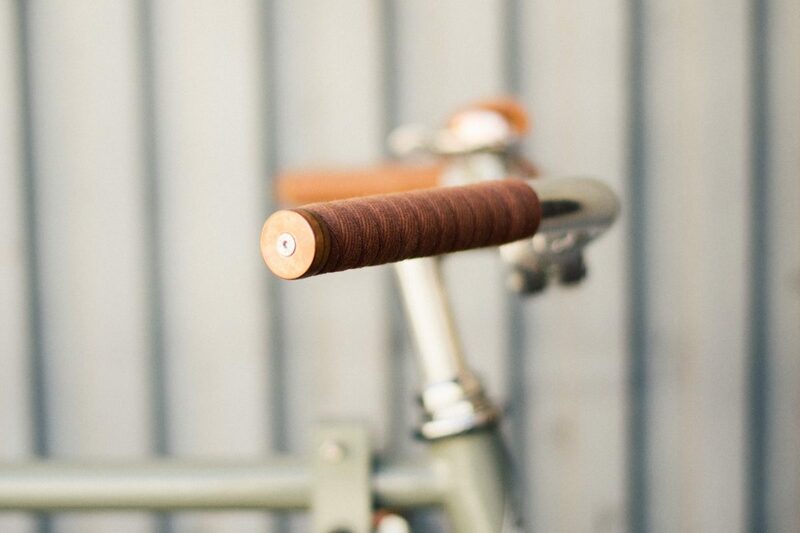 The matching cotton bar-tape is from Newbaums, with OSOB custom made bar-ends. We used the remaining tape to cover the surfboard carrier. 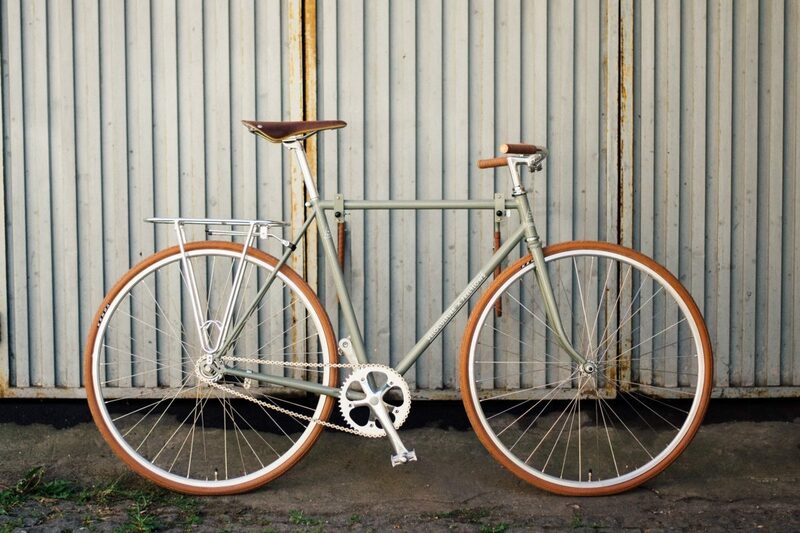 Most of the bike parts were chosen to be rust resistant, mainly in aluminium, allowing a sturdy bicycle within the budget. 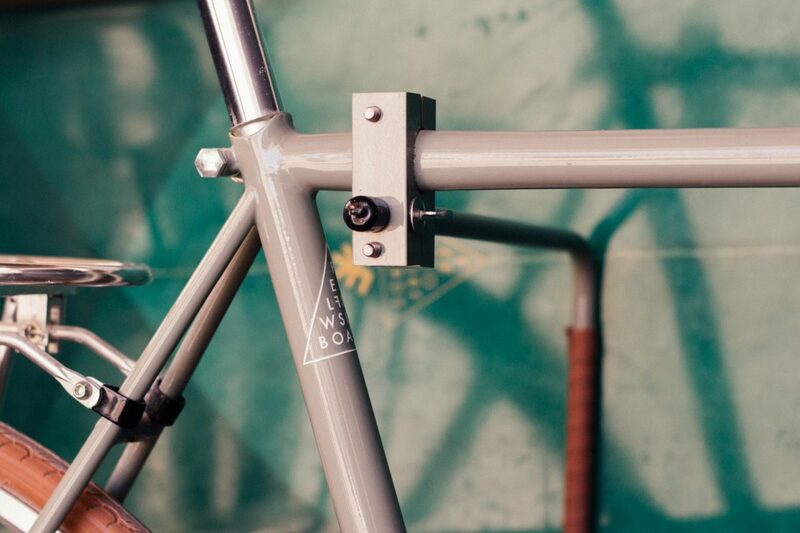 The spec list includes a BLB stem, Velo Orange handlebars, single-speed cranks, MKS pedals and a vintage Alu carrier. “The “Candybar” is our version of the Mini-Simmons. The Mini-Simmons is a shape gaining popularity in the past few years but was invented back in the 50’s in California by the surfer and shaper Tom Simmons. It’s one of our smallest boards. Nevertheless, it allows a very comfortable paddle, making it very easy to catch the waves. 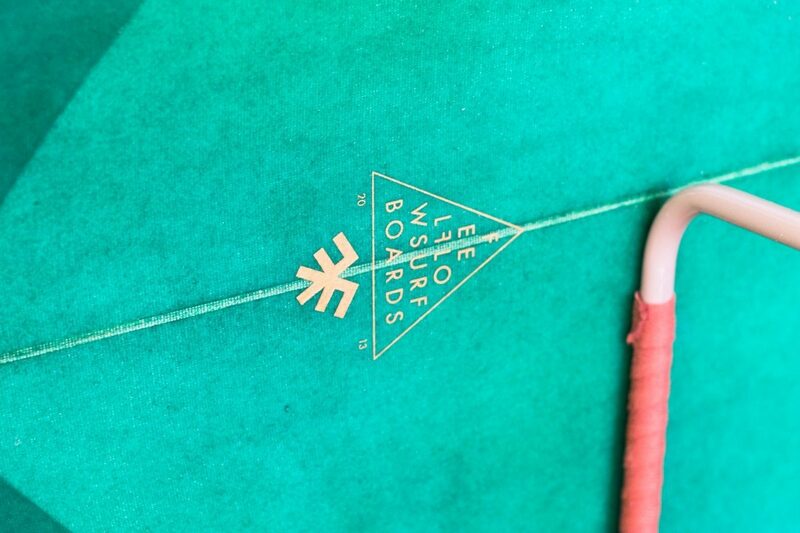 The generous width makes the Candybar a small board accessible to surfers from all levels of expertise. It’s a small board, fun to ride and similar to a skateboard. 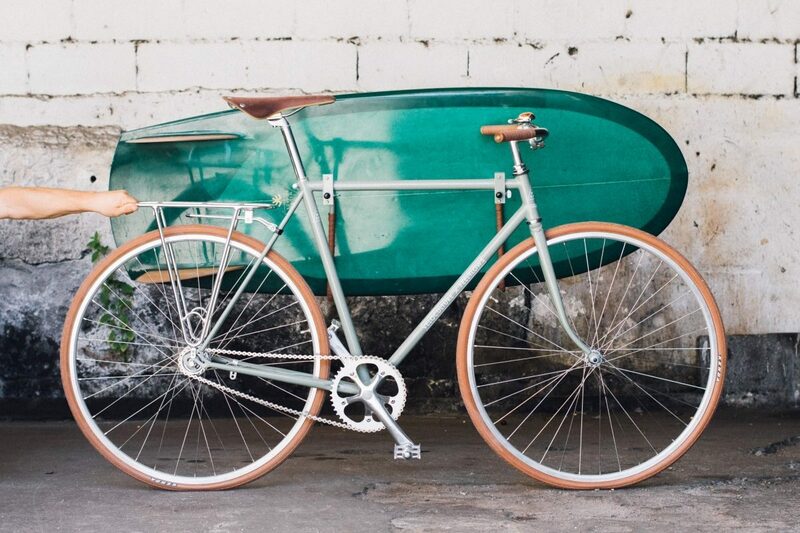 The most impressive thing is its capacity to gain speed in small waves. It’s very versatile, even in big and hollow waves, though.